We're still getting things off the floor here at the remodel house. 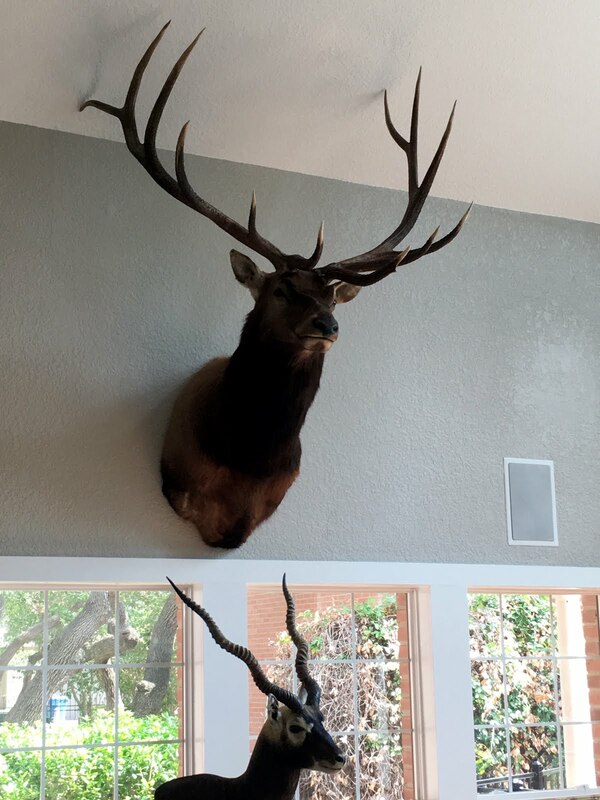 Last weekend it was the elk's turn to find his new spot. He's the crowning jewel of the stuffed zoo we'll have out in the pool cabana. 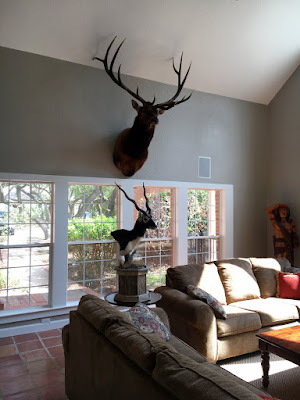 Slowly but surely we'll get both sides filled in with the other hoofed critters we already have, plus the ones from Africa STILLLLLLLL at the taxidermist here in Texas for processing. It was a tight fit. Any closer and the guys would have poked a hole in the ceiling to attach the antlers. Because seriously, those suckers detach. Otherwise it would be quite heavy and unwieldy when you need to move and hang it. Shift Mr. Elk the wrong way and lose an eye. I'm sure ER docs see that all the time.